For more information about this day, check out the Federal government’s website: click here. Outdoor Exhibits and Native Plant Garden are OPEN all year. June 26, 12 noon at the Shipyard entrance. I would first like to acknowledge that we are standing on the traditional, unceded territory of the Coast Salish, the Snuneymuxw Nation. 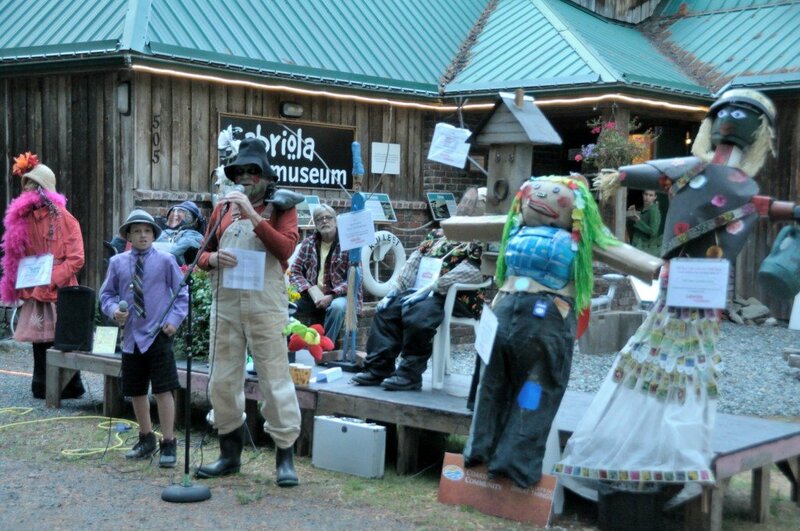 My name is Gloria Filax and I am Vice President of the Gabriola Historical and Museum Society. We gather today to celebrate the 73 year history of what is now the last remaining shipyard in the Gulf Islands – Silva Bay Shipyard. 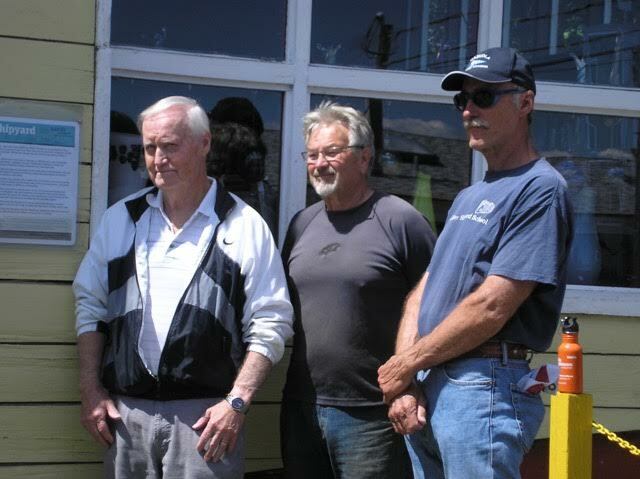 The current owners of the shipyard, Don and Vicky Mayrend, and past owners are to be lauded for carrying on a tradition of ship-building when so many other ship building enterprises on the Gulf Islands have drifted into the past. 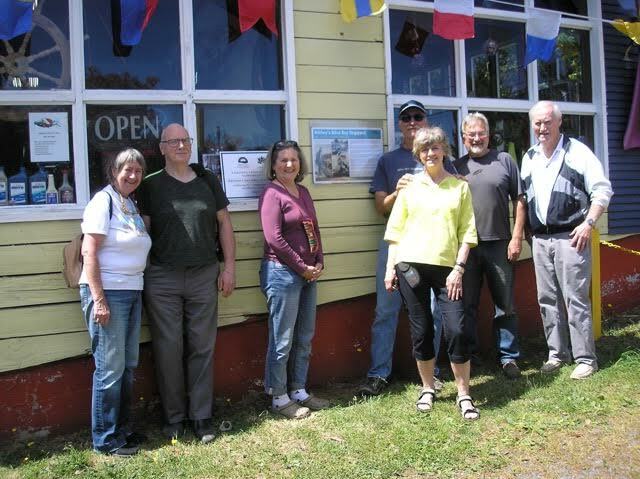 This historic marker is the first in a new series of six plaques that highlight some of the major historic sites on Gabriola. The rest of the series will be unveiled this summer and fall. I would like to take this opportunity to thank our generous funders: the Canadian Federal government program ‘Canada150’ and the Province of British Columbia.